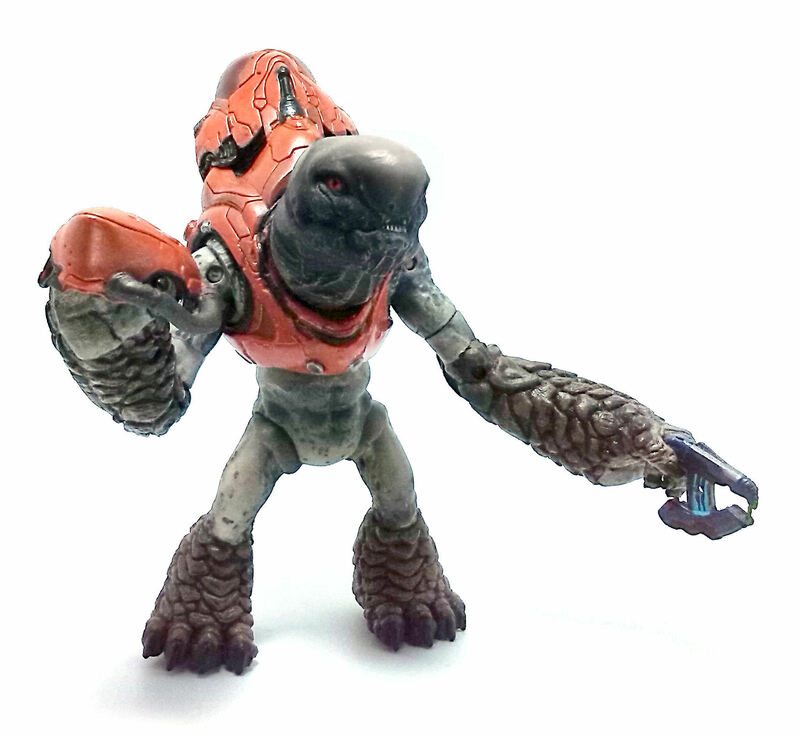 One of the changes introduced in the Halo 4 game was that the Grunt species, the Unggoy, got a new veteran rank called Imperials. The Imperial Grunt ranks are filled with the toughest of the bunch, and the new craracter design developed for the game reflects that by making them larger than previous incarnations and further altering their phisiology to make them look more menacing. 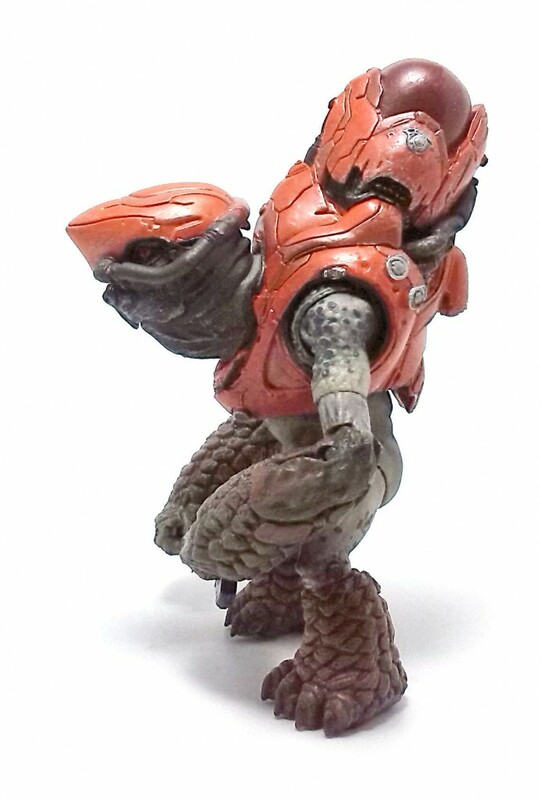 The new Grunts look a lot more menacing, with hardened scales covering their calves and forearms and a rather mean facial expression. The exposed skin areas look smoother and fairly well muscled; on top of that there is a newly designed combat harness that is rounder than previous designs, but still displays a nice number of panel lines and the helmet is also a removable piece. As usual, these barbell-style joints are well concealed into the character design, but offer rather limited functionality, especially the joint at the base of the neck. Still, the rest of the articulation works reasonably well and allow the Imperial Grunt to adopt a good number of poses. The paintjob on the Grunt is really nice. The harness and helmet are painted in a burnt-orange hue and they also show some details decorated in a gunmetal gray color. 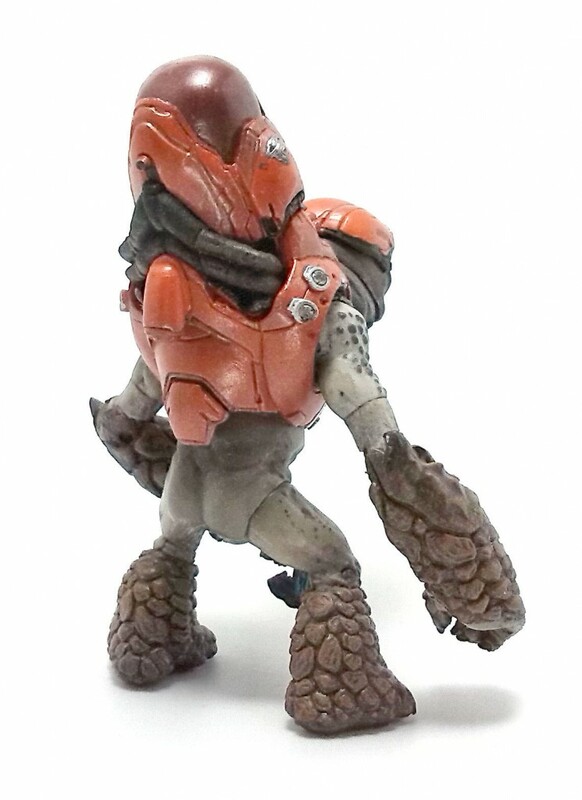 The smooth skin parts on the Grunt are painted in gray/brown color with some darker spots on them, while the scaly bits were given a much darker shading wash. The facial details are also nicely done, with the eyes being the best feature in my opinion. 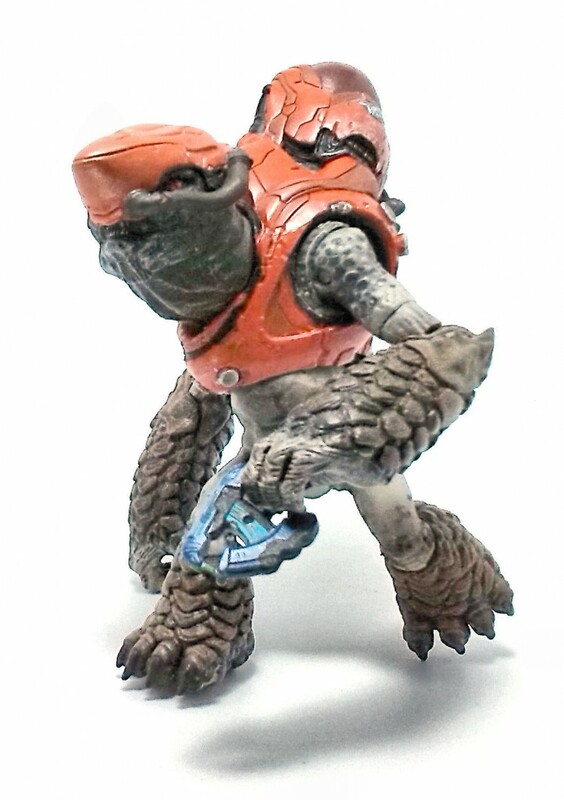 Other than the helmet, the Imperial Grunt comes armed with just a small plasma pistol and a black plastic peg, which is of no use for this figure because it lacks any port to affix the weapon to. The really annoying part, though, is that the hands of the creature are not really designed to go with the weapon, so it can’t hold it properly on either side. 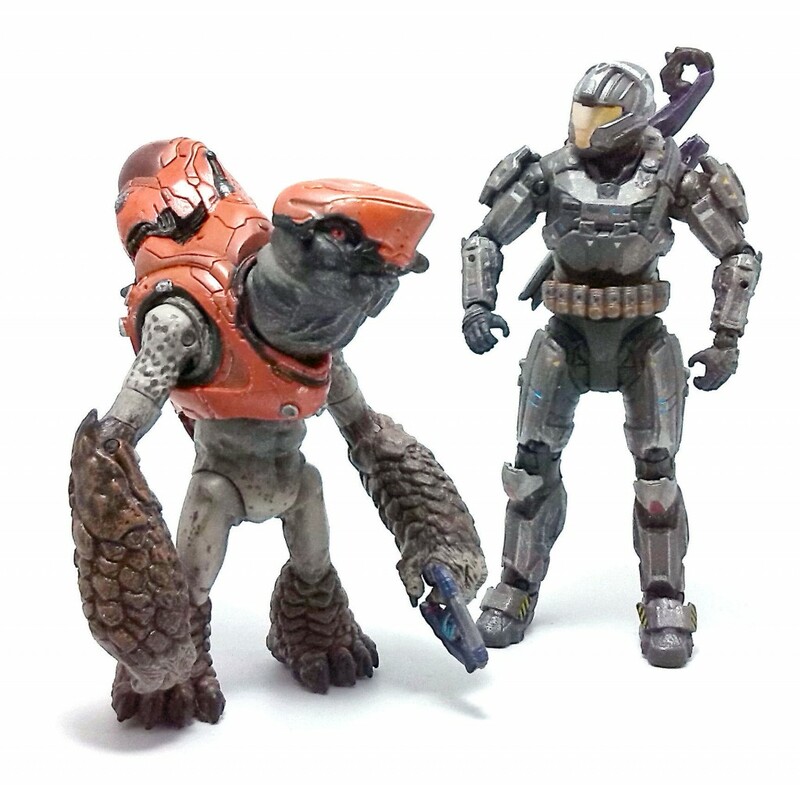 In all fairness, I must point out that this has been an ongoing issue with the Grunt figures released by McFarlane Toys all the way back to the Halo 2 line. 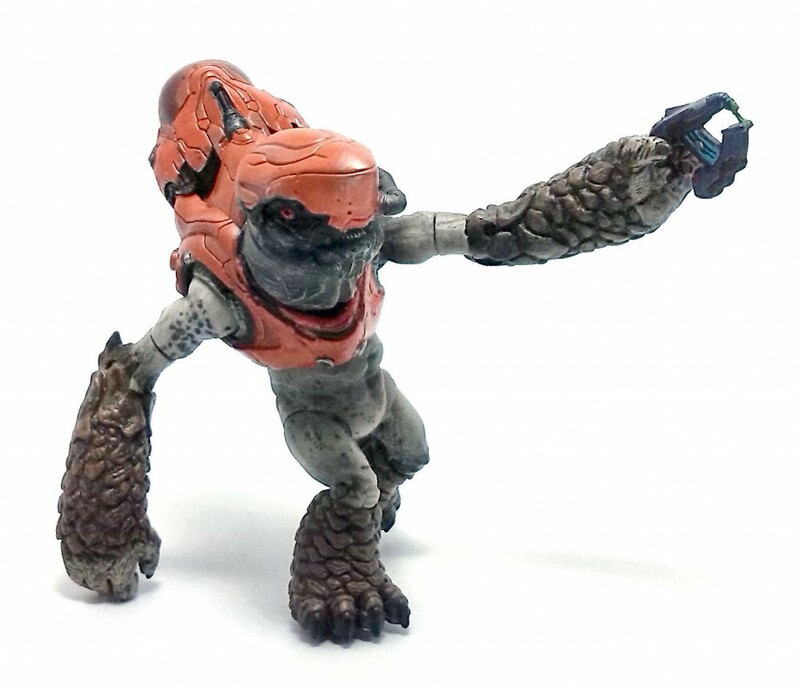 Overall, the Imperial Grunt does look good and cuts a more menacing figure than his counterparts from the previous Halo games, so I am giving this figure a grudging recommendation.